A good book can transport you through space and time, in and out of weeks, and believe the impossible possible. Adding augmented triggers can engage young readers like never before. You can use augmented triggers to introduce a setting for a book, bring in augmented 3D image to represent landmarks, and even take the reader down the Mississippi river while they read about the travels of Huckleberry Finn. At a recent professional development day I helped a fellow colleague put together this augmented trigger. When you scan the image you will receive a map with pins marking Huck's adventure on the Mississippi. There is also a button that will take you to an interactive Google Map where you can go in deeper and see the places Huck and Jim visited on their adventure. 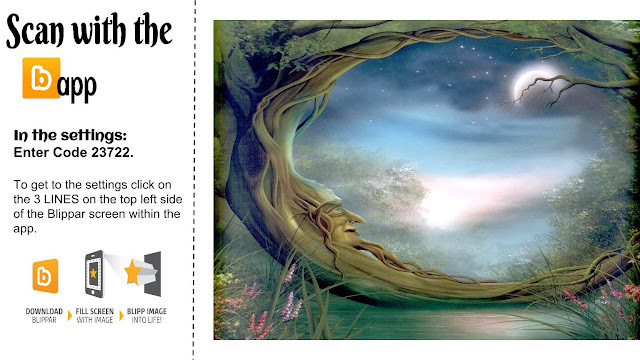 You can use augmented triggers to help students learn about voice in a story, build knowledge with augmented word walls, and develop a connection with characters from out of this world. 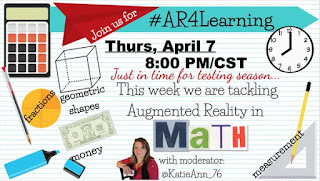 Join us on April 21st at 8pm central on Twitter for #AR4Learning to learn more ways you can use augmented reality to bring literature to life. Fractions are hard to grasp. How can 1/4 of something be smaller than 1/2? He have taught our students that the number 4 is larger then we toss in fractions and boy do kids get confused. If we can visual show our students why 1/4 is larger than 1/2 they may understand it a little better. 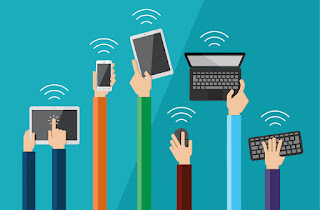 That is where augmented content comes in. With augmented triggers we can tie any digital media to an image, so when scanned the content become available. A lot of teachers have started using Interactive Student Math Notebooks. Students can take notes, add foldables, resources, and images to their notebooks to help them understand a math concept. Why not augment the images? If you use tools such as Educreations you can save the worked out example of a math problem or concept and tie to an image. 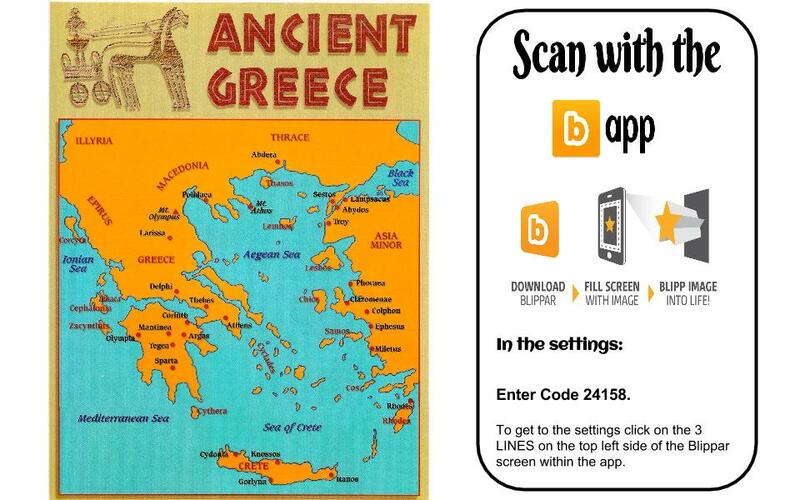 You can even add pictures of examples, links to resources, well anything that is digital. Students then scan the augmented triggers to access enriched content. With this example "Fractions on a Number Line" I used an image of a football field to give a real life example of a number line and tied a short video clip along with a picture of an example. 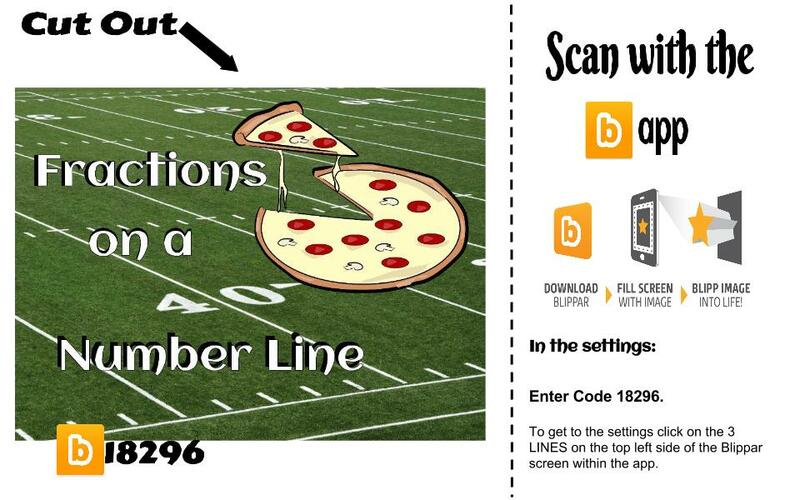 Students can cut out this image and paste it into the Interactive Student Math Notebook. 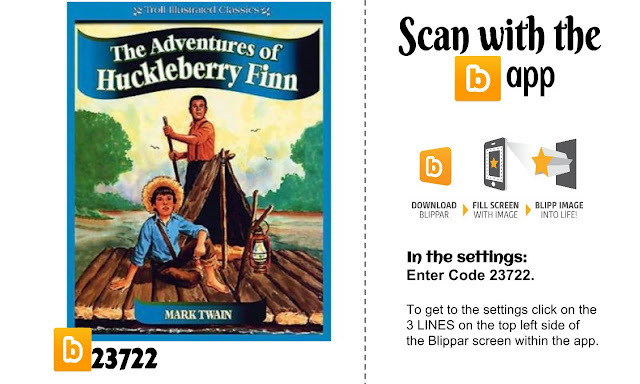 They can then use the Blippar app enter the code 18296 in the settings and then scan. What a great way to introduce the concept or use it as reinforcement or enhancement for your lesson. This would also be great for students that missed class to catch up on their own. Join us on Thursday in Twitter Land for #AR4Learning at 8pm Central as we chat more ways to use augmented content in math.